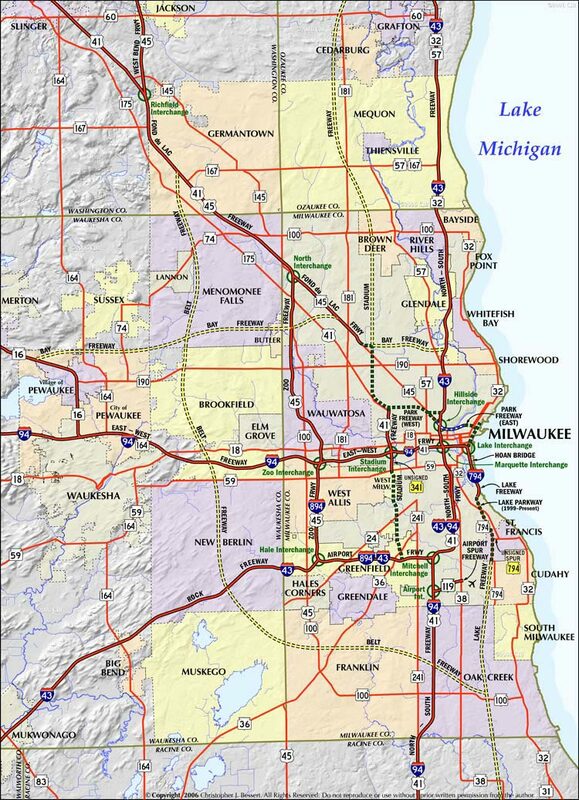 This map illustrates the entire Metropolitan Milwaukee freeway system, including both those freeways which were proposed, planned, constructed or even removed since the 1950s. Click on any freeway or freeway name to jump to detailed information about that freeway. Note: This map will be updated in the near future to show the many route designation changes from 2015.